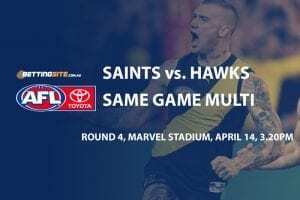 Hawthorn Hawks: $19 – Are the Hawks worth a bet for the flag? 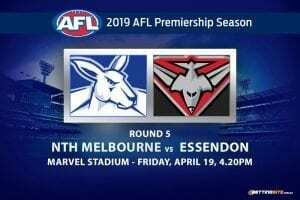 The two Tasmanian affiliated AFL clubs will battle at the MCG this Sunday afternoon. 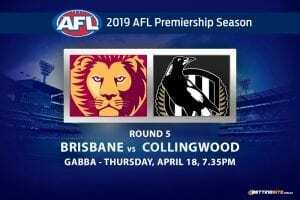 The Hawthorn Hawks and the North Melbourne Kangaroos will look to get back on the winner’s list after tough losses last week. 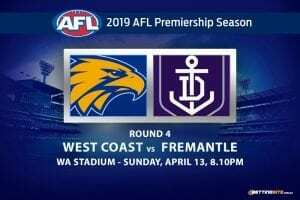 Both clubs were leading their opponent in the last quarter in round two, but managed to blow the lead and lose. Two major injuries have struck the Hawks, which will drastically change the make-up of the best 22. Shaun Burgoyne and Liam Shiels will miss with hamstring injuries. 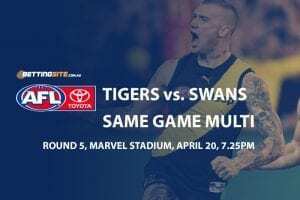 North Melbourne was lucky enough to escape the round two loss without too many injuries during the match, but Marley Williams did suffer a slight leg complaint. Two second year midfield bulls will bump horns in the guts when Luke Davies-Uniacke and James Worpel clash. Worpel had the better opening season, but Davies-Uniacke finally looks comfortable at AFL level. 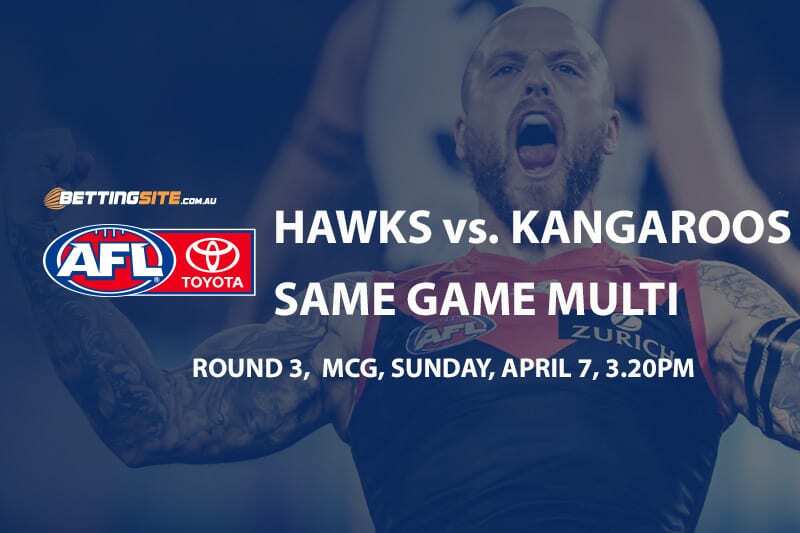 It will be a close match that should be Sunday’s best, so here is a same game multi for the Hawks and Roos. The Hawks have more experience on the sidelines this weekend, but that won’t stop the exciting list from getting the victory. Jaeger O’Meara is an extremely important player that has enjoyed his current bill of health, dominating the Bulldogs with 30 disposals and a goal. A certain recruit will make his debut which boosts the Hawks chances immensely. Chad Wingard, the former Port Adelaide superstar, will play his first match in brown and gold this Sunday. Wingard will slot straight into the forward half of the ground and will use his elite kicking to apply pressure around goal, and will slot one too with his top-end goal-sense. Jared Polec, a former teammate of Wingard’s at Port, has now become a very capable wingman with the potential to hit the scoreboard, which he has done in both his opening matches. With so much pressure on the players to defend well and not concede goals, we expect a much tighter defensive effort from both sides, who were criticised for how they defended last week. 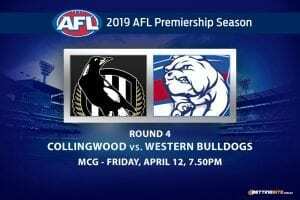 A low-scoring match that will be won by the Hawks where Wingard and Polec kick goals, sounds on the money.